Also known as "Lame Peter Skroch." Also known as "Hileman Pete." Lawrence Blaha (b1826) and wife Mary Nogosek, parents of Anna Blaha. Click on image for larger version. Picture courtesy of La Vern Skroch . Lawrence & Mary Blaha were married 26 Jan 1858. Anna eventually remarried after Peter died. She remarried Albert Waldera and had two more children.... Delores Waldera and Romell Waldera. 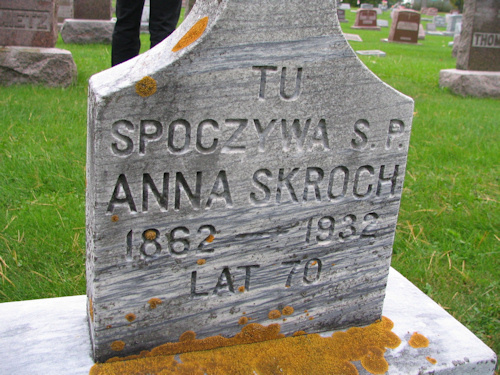 Married: Urban Skroch at St Peter & Paul Church, Independence, WI on 18 May 1904. Urban's Lineage: Jacob, Jacob , Valentin , Michael, Jacob. Picture courtesy La Vern Skroch. Click on picture for original larger image. 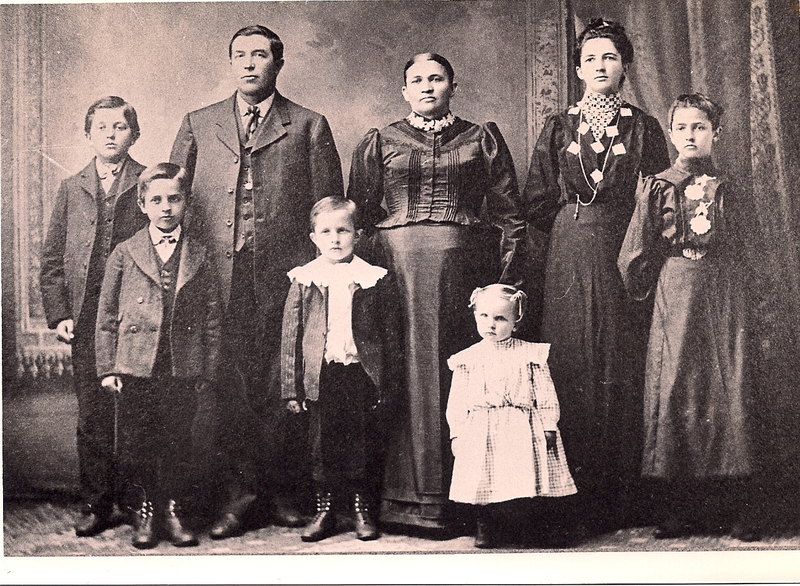 Left child is Mary Skroch. Right woman labled "Mrs Blancha" on picture but "Grandma Anna Skroch (Neva)" on album page (click on image to view). Theresa Kampa, 1911, married Oswald Berg. Delores Waldera, married Albert Pronschinske Jr.